This listing is for the yoke only. 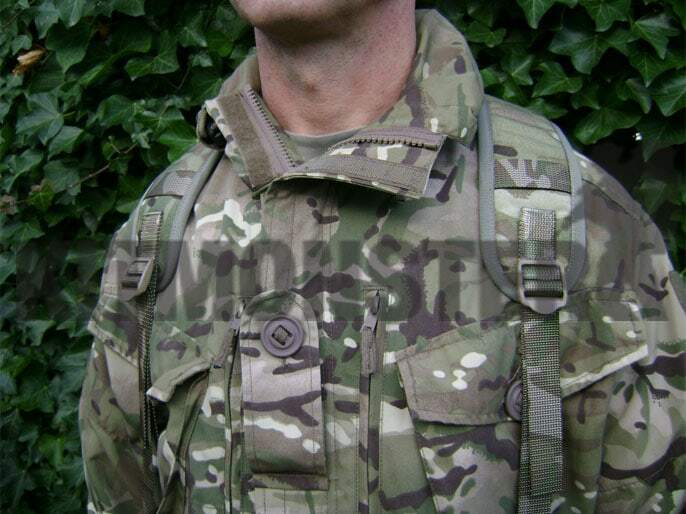 Genuine UK Military PLCE Issue 6 point webbing yoke in MTP, for use with Multicam and MTP. Classic battle proven 6 point design with lightly padded shoulders. Adjustment buckles on all straps makes this fully compatible with PLCE issue items and most other webbing systems. 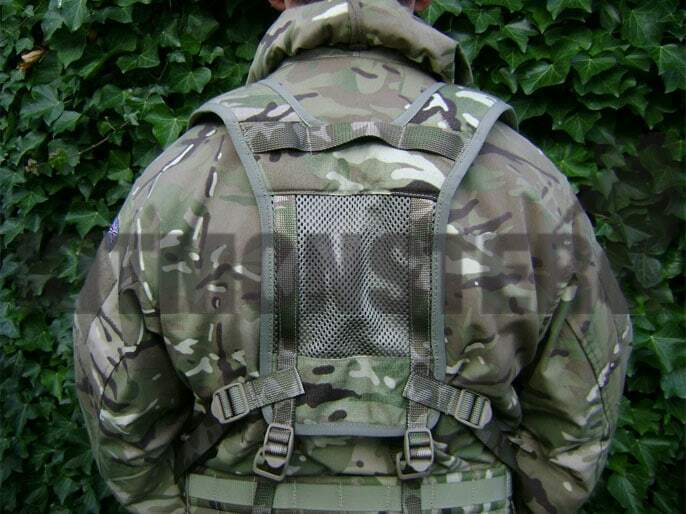 Grab handle on the shoulders and mesh back for ventilation. 1000 Denier, MTP IRR fabric with MTP patterned strapping. Shown here with the AAMBeR MOLLE Platform, this is not included. MOD specification materials throughout. Exact buckle type may vary between individual examples, overall design is the same. You will be supplied a yoke only from this listing.